Danielle Warner joined the music department in 2015 as an assistant professor of music and director of choral activities. She spent the previous four years teaching music in the Midwest, most recently at Wayne State College in Nebraska, where she was director of choral activities in 2014-15. Previously, she was a graduate teaching assistant at the UMKC Conservatory of Music and Dance in Kansas City, Mo., for three years. 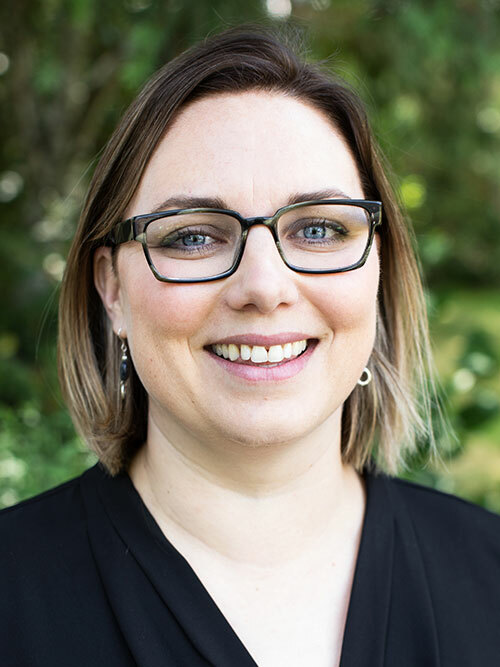 Danielle also gained teaching experience as an adjunct professor of music at Whitman College in 2010-11 and as a choral music educator at Pacific Middle School in the Evergreen School District of Vancouver, Wash., from 2007 to 2009. She holds a doctor of musical arts from the University of Missouri Kansas City Conservatory of Music and Dance (2014), a master of music from Western Washington University (2006) and a bachelor’s degree in music from Whitman College (2004).